Hello lovely foodies! How are you all? I’m fine as usual! I was busy in festivals of starting summer and so here I’m after a long! Hope you missed me! 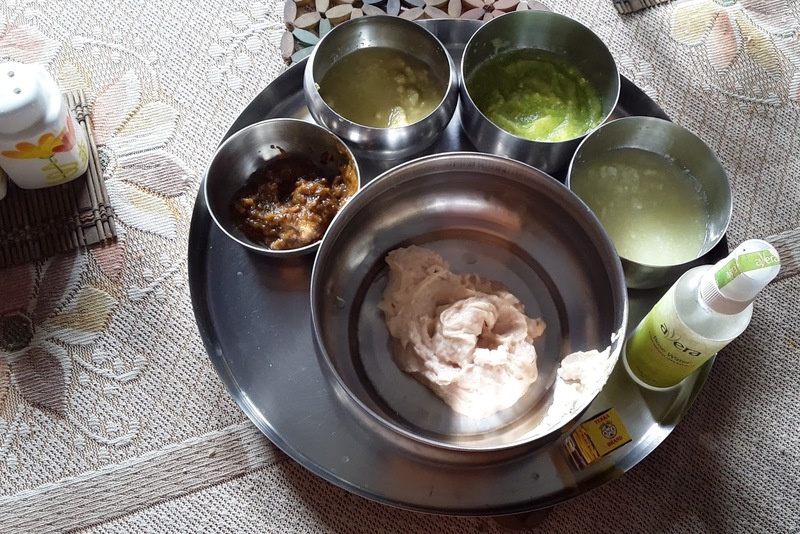 Last week, we have celebrated Bengali New Year! Every Bengali celebrates the day with traditional dresses and authentic Bengali dishes. But, this year I have cooked an Awadhi cuisine. I have being looking to learn the recipe since a long time. At last, I have learned, cooked and today I’m going to share it with you! 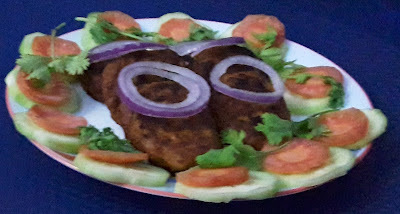 I’m sure you must have heard about the famous Galouti kebab of Lucknow. 'Galouti' or 'Galawati' means melt in the mouth. And definitely these kebabs will melt in your mouth once you have a bite of it! 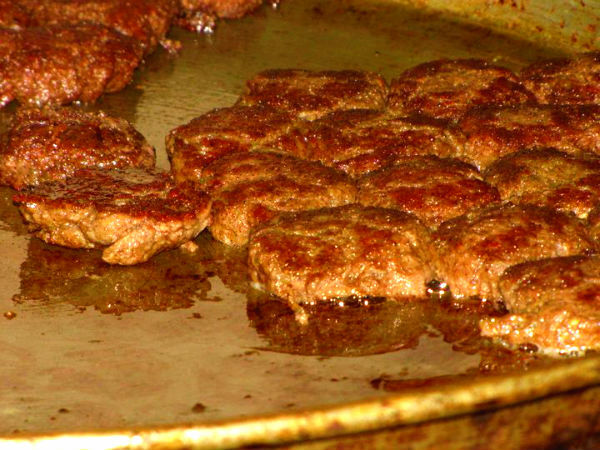 The history of Galouti kebab is very interesting. 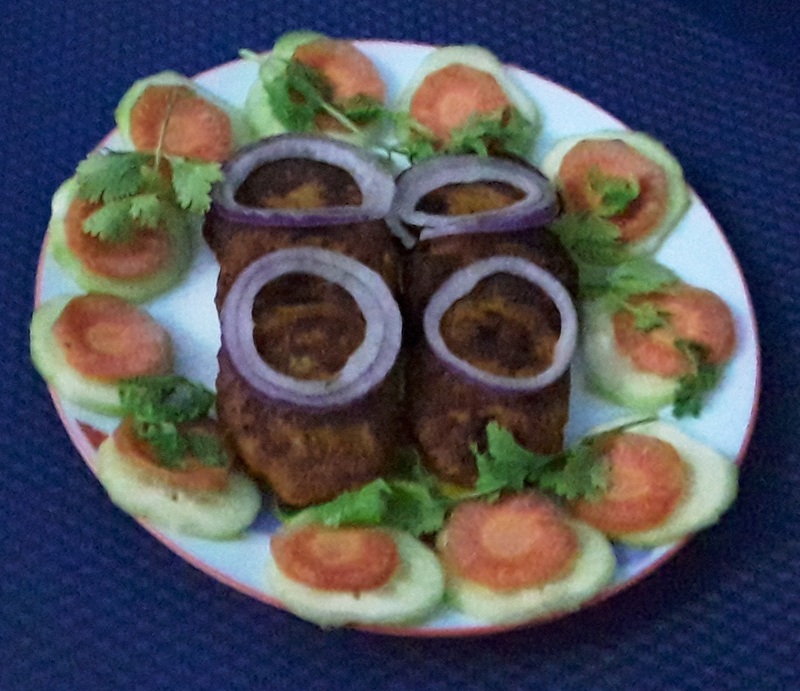 This kebab was especially created for the ageing Nawab Wajid Ali Shah of Lucknow. The Nawab had lost all his teeth. But his passion for meat remained intact. So, this ‘melt in the mouth’ kebab was prepared in his royal kitchens to satisfy the Nawab's love for meat. 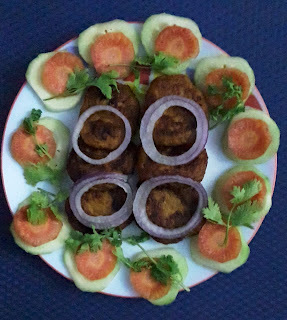 The taste of Galouti kebabs is unique, you just cannot compare with anything else. So, whether a foodie or not, you must try this exotic and mouthwatering Galouti kebab recipe and refresh your taste-buds! Fried Brown Onion paste: 70gm. Green Cardamom powder: 3 teasp. Transfer the mutton mince to a big bowl. Add all the spices above and mix well with your hands. Refrigerate the marinated mince for about 12 hours. Heat a flat frying pan. Add Ghee generously! Make small patties of the minced mutton and shallow fry on a very low heat until the kebabs and cooked and tender. Once the kebabs are perfectly cooked, transfer them to a serving platter and serve in the Lucknow style with paratha.